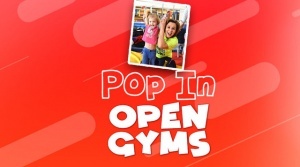 Pop into our Pop In Open Gyms every Tuesday & Thursday from 10am-Noon. Your child will jump, climb and flip into action during these fun Open Gyms while making new friends and roaming our entire gym! All ages are welcome! Need an evening without the kids? 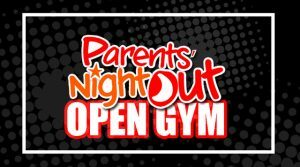 Our Parents’ Night Out Open Gym gives our parents the opportunity to take a well-deserved break. Go out for a night on the town or go shopping, all while feeling confident that your children are safe and having the time of their lives! 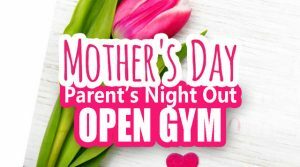 Drop your child off for our FUN Mother’s Day Parent’s Night Out Open Gym! Your child will create a Mother’s Day gift that they will be proud to give to their mother. After they get to run around and get out all of their excess energy while you as parents get to enjoy a Parent’s Night Out!